The definition of Holistic education is, 'Philosophy of education based on the premise that each person finds identity, meaning, and purpose in life through connections to the community, to the natural world, and to humanitarian values such as compassion and peace' (definition from Wikipedia). As such, holistic education is based on the idea that children can be taught in a more natural and engaging way. 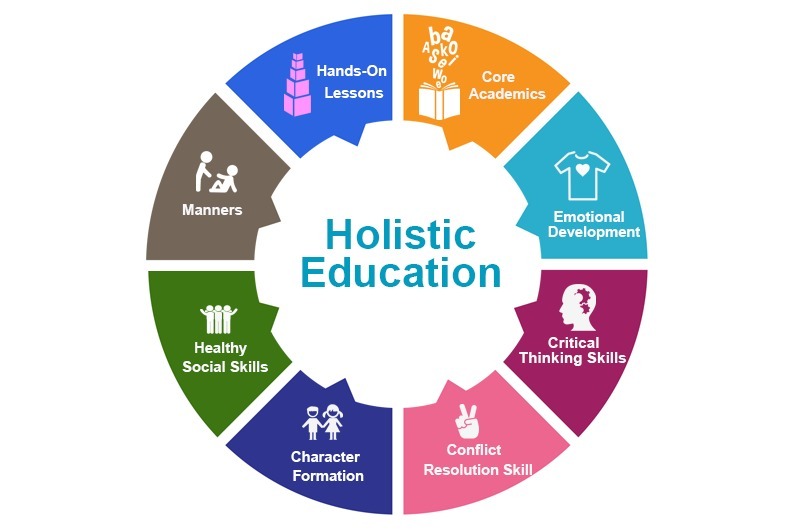 A holistic approach to child development seeks to simultaneously address the physical, emotional, relational, intellectual, and spiritual aspects of a child's life. 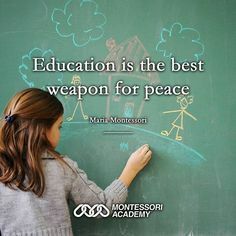 We, at Casa Vista Montessori have an approach that is in tune with the child's unique needs and one that prepares the child to become a well-rounded adult. Our Montessori curriculum is based on core values such as; honestly, equality, respect, tolerance, open-mindedness, cooperation, harmony, empathy, compassion and peace. These activities enable children to be more mindful of their actions, thereby gaining more awareness of the environment. Such activities help the child to feel more connected and oriented to the social surroundings. Values like these are modelled by the Montessori teachers and can also be expressed through stories, poems and day to day actions. 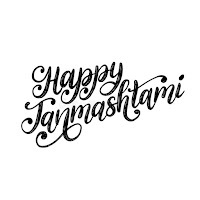 The primary goal is to incorporate these graces and courtesies into the child's daily life, which will allow for a more pleasant classroom as well as a more pleasant environment wherever the child may go. We understand and value each child's unique capabilities. We recognise each child's learning styles and incorporate the theory of Multiple Intelligence's. Each child is allowed to work with his/her choice of activities and at his/her own pace. The learning centres in a Montessori classroom are based on the observations of children in that classroom. Then the curriculum is altered to meet the needs of the existing children. Most educators have argued for centuries that 'education is a matter of experience', this is affirmed in Montessori schools. Children make meaning and learn about concepts through hands-on experiences. Most of the learning involves the use of the 5 senses and therefore, we create environments based on activities that are real and applicable. Hands-on learning is a great way to acquire skills essential to build a strong foundation for future learning. The role of an educator now is to ensure that they are preparing children to become life-long learners. This will only be possible if children are given the freedom to think, freedom to inquire and freedom to make choices. Exploration and inquiry are possible only when children have the essential tools to explore and the necessary skills developed. 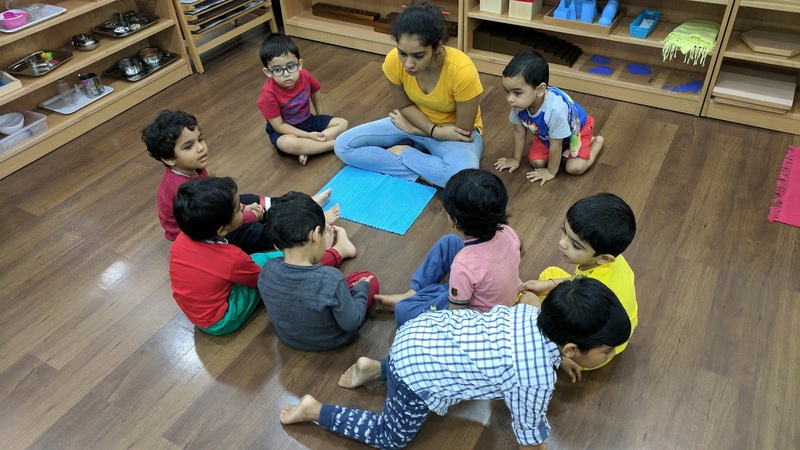 Therefore, the Montessori directress sets up a prepared environment, with resources to ensure that children have acquired adequate skills to work independently. The teachers then act as facilitators or guides, helping the children to move forward into new learning experiences and directing them when necessary. We all know that each one of us is unique, while one of us may be an avid reader, another great at computing, yet another has an eye for art. Some learn the best through the sense of touch and others through visual input. We are not all the same. Nor are all our children the same. They all learn but they may have vastly different tastes in what interests them and when they are ready. Therefore, children are allowed to choose activities from a prescribed range of activities that interest them. We ensure that this free will of each child is gradually being educated. Each choice they have is constructive, developmentally appropriate and interesting. We integrate body, speech and mind to be sure we are offering a whole, integrated experience. In honoring body, speech and mind in our learning processes we are giving attention to sensory integration, communication, self-expression and flexible thinking. This kind of an educational approach seeks to engage children in the learning process that aids to intellectual, emotional, physical, artistic, creative and spiritual potentials. You really need to do a copyedit of every sentence of this blog.